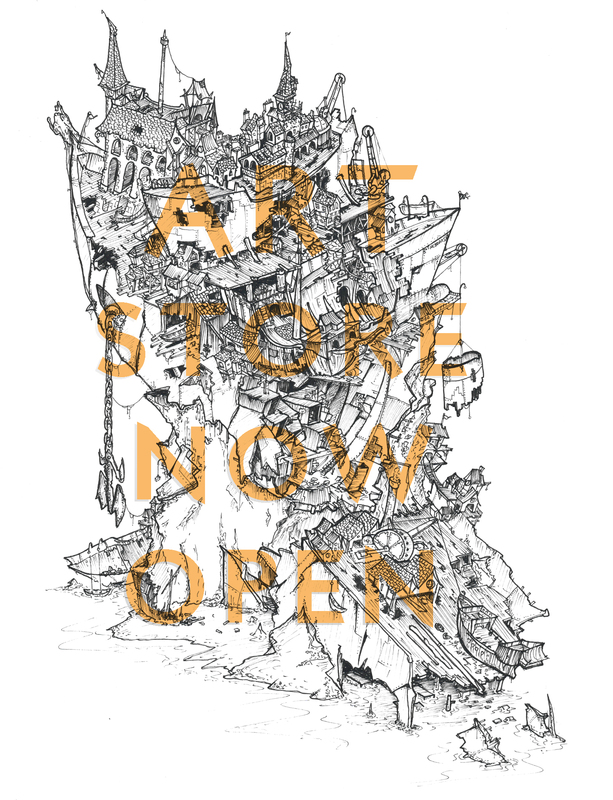 So, not “The Sunday Night Sketchbook“, but it’s some art, and it’s mine! 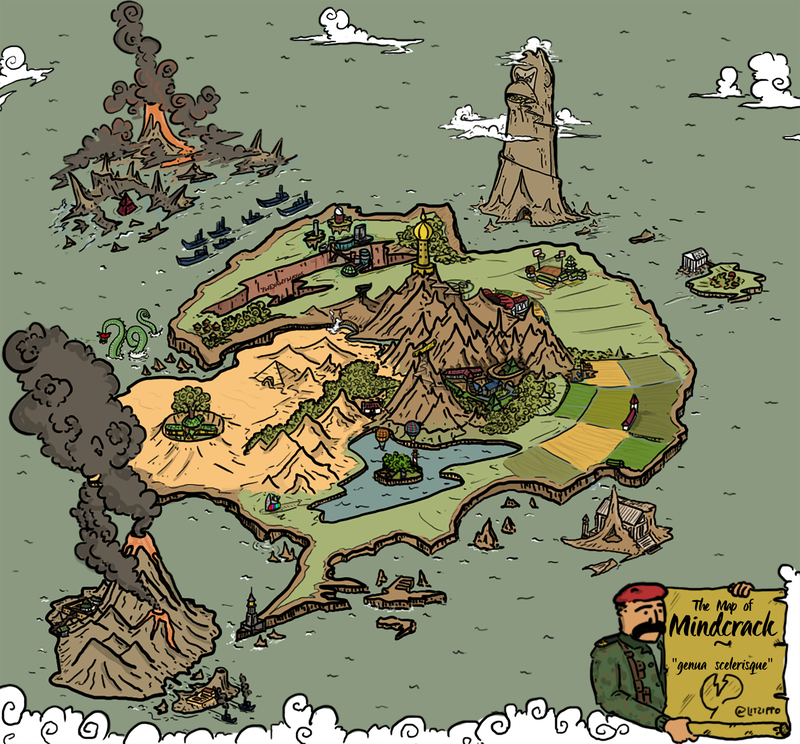 I finished The Map of Mindcrack last night, which is a picture that started off as a wee joke before developing into a piece I was actually really pleased with. I only wish I had realised earlier how much I was going to develop it so I could have drawn it at a much higher resolution and with more detail! Live and you learn, I guess. 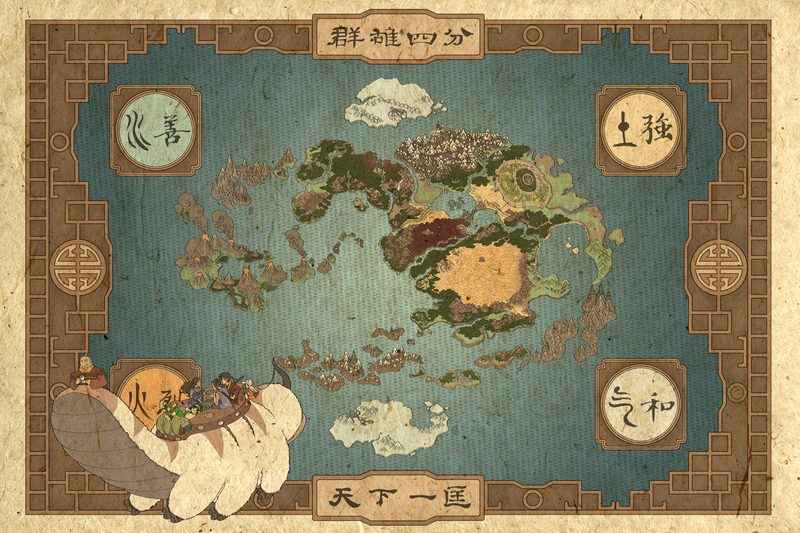 The link to the full resolution is here (and it’s BIG), and if you’re as much of a fan of the series (or maps for that matter!) as I am, you’ll be blown away by the detail and depth in the picture. I also loved the artistic style, so when I thought of making the “Map of Mindcrack”, it was the first thought in my mind. I used it as a reference for the volcanic islands, and basically used it as a rough guide from then on. I’m definitely going to return to the style in the future! Most of you probably won’t understand all the references, bu you can find below an annotated map with all the markings below. Also the Latin makes no sense, I know. ← NickjGraves? More like NickJaGoodGuy!